Deepika Padukone, who is currently riding high on the success of Padmaavat, was honoured by the Italian Consulate at an event held over the weekend. The ceremony celebrated the long-standing collaboration of the Indian Film Industry with the Italian Consulate. Padukone was felicitated by the Italian Consulate for her extraordinary contribution to the film industry. The actress looked gorgeous in a Sabyasachi outfit, and of course, one couldn't miss the glow on her face, thanks to the success of her recent release. 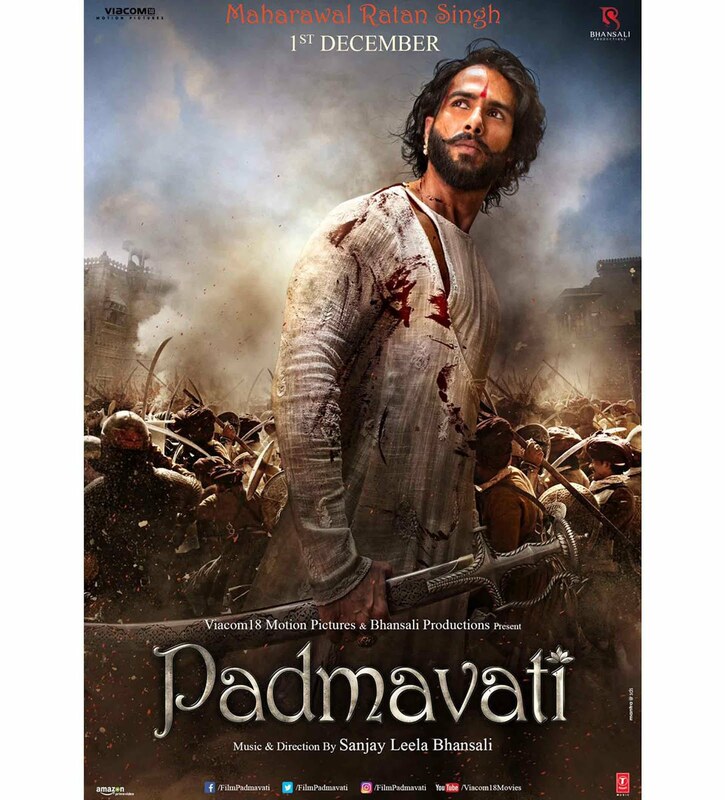 Padmaavat has successfully surpassed the 200 crore club, while slowly inching towards 250 crore at the BO. Padukone is the only Indian actress to have seven 100 crore films and has also given a hat trick of 200 crore films. The Shahid Kapoor, Padukone and Ranveer Singh starrer has minted 224 Cr till date. The actress made a graceful appearance at the event, where she picked a striped georgette saree with textured full sleeve blouse, white crest belt and embroidered metallic cuff, all from designer Sabyasachi's new spring / summer 2018 collection. A sleek bun with vintage red lips and a pair of drop earrings finished her look. Padukone has won millions of hearts with her royal avatar and graceful performance as Rani Padmini. She has not only impressed her fans and audience across the globe, but also garnered rave reviews. Overwhelmed by the love and accolades, Padukone took to social media and thanked everyone for showering their love and blessings. And well, we can't help but fall in love with her gorgeous look at the event. What about you? After pulling off a casting coup for Veere Di Wedding, producer Rhea Kapoor (who will also be styling the big-ticket entertainer) has now managed to get designer duo Abu Jani and Sandeep Khosla on board! The celebrated designers will be working on all the Indian clothes for this film. They will be customising outfits for the ensemble star cast, infusing their signature Indian craftsmanship and textile heritage with European tailored silhouettes. What’s even more exciting is that Veere Di Wedding will be the first Bollywood film Abu-Sandeep will be working on after 15 years. The designers last did the costumes for Devdas, for which they won the National Award for Best Costume Design (along with designers Neeta Lulla and Reza Sharifi). The designers stayed away from designing for films, but the makers of Veere Di Wedding managed to convince them. While not much is known at this juncture, sources reveal that Abu- Sandeep will be opening up their design archives from years ago and digging out some really amazing looks for the film. What they do promise is to showcase their legacy for Indian wear that will retain pride and respect in everything that is beautiful about our culture and country, yet appeal to those with global taste. Starring Kareena Kapoor Khan, Sonam Kapoor, Swara Bhaskar and Shikha Talsania, Veere di Wedding promises to be a fun ride that explores the spirit of the modern Indian woman. Produced by Rhea Kapoor & Ekta Kapoor and directed by Shashank Ghosh, the film will have a 2018 release. Fossil announced Varun Dhawan and Shruti Haasan as their first ever Indian celebrity brand ambassadors. The actors feature in Fossil’s first ever multimedia campaign, which will be launching throughout India by the end of this year. 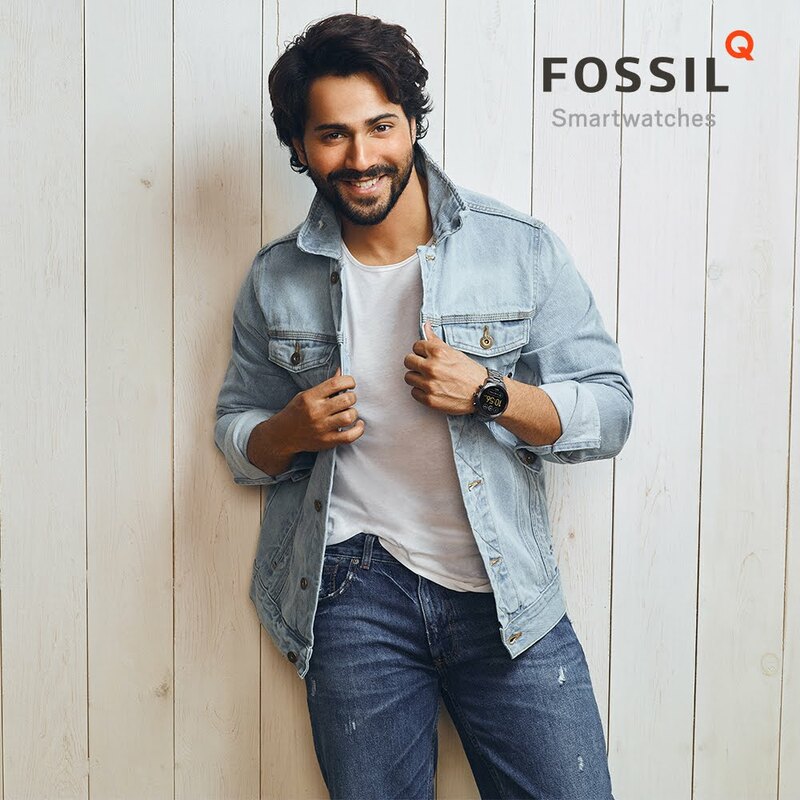 The partnership with Dhawan and Haasan celebrates the launch of the new generation Fossil Q touchscreen smartwatches, which are a perfect fusion of technology and fashion. They will be seen representing the new range of touchscreen smartwatches, which enables seamless integration of technology and fashion in its customer’s lifestyle. According to the brand, the actors were chosen for their unique personal style as well as their integral relationships with the brand. Just Fossil smartwatches represent the next generation of watches, the celebrities too represent the next generation of Fossil fans. With this, India becomes the second country in the subcontinent, close on the heels of South Korea, to engage celebrities to represent the brand in the country. Fossil Gen 3 touchscreen smartwatches are priced between Rs.19,995/- to Rs.21,995/- and are now available in all exclusive Fossil retail stores and select doors across the country. 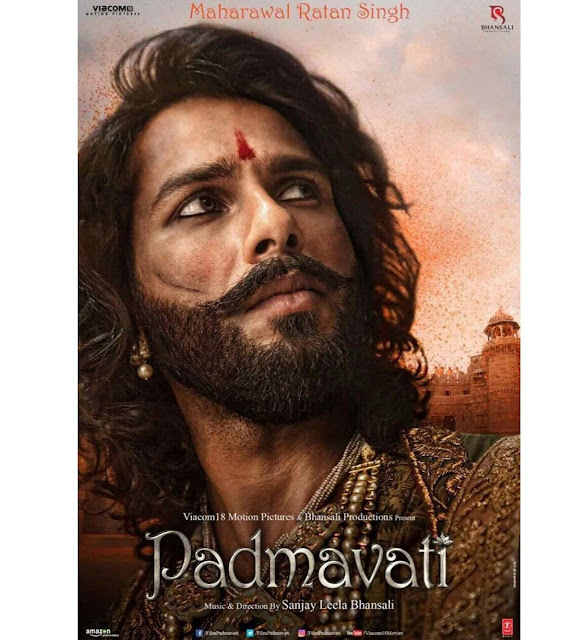 While Deepika Padukone stole hearts with her ethereal costume and regal look in the first poster of Padmavati, Shahid Kapoor’s look took things a notch above. In less than a day since it's launch, Kapoor's look as the Rajput ruler - Maharawal Ratan Singh, has already become the talk of the town. One can't help but praise Kapoor's avatar, complete with lavish regalia, chiseled body, the perfect beard & mooch. Designers Rimple and Harpreet Narula explain that designing Shahid’s costumes was a tedious job. “There is tremendous research that has gone behind every costume that Shahid will be seen wearing in the film," said Harpreet. In fact, it took 4 months to design the actor’s costumes for Padmavati. She further explains, “We sourced organic fabrics from Rajasthan that were then embroidered by hand by 22 local artisans. We have stuck to pure muslin cloth as the base, and then, used vegetable dye or hand dye. While we tried to use hues that are associated with masculinity, we also had to balance it with brighter colours, since Rajasthani outfits are all about colour at the end of the day." The four month grueling process took them to the museums of Jaipur and Ahmedabad. Rimple adds, "We would often collect old fabrics, or buy antiques like brooch or pins from flea markets. We have used these trinkets in Padmavati." Presented by Viacom18 Motion Pictures and Bhansali Productions, Padmavati is helmed by Sanjay Leela Bhansali, who has also composed the music. Starring Shahid Kapoor, Deepika Padukone and Ranveer Singh among others, the film will release in cinemas on December 1, 2017. After winning the Global Style Icon at the Brand Vision Summit earlier last year, Sonam Kapoor featured in 'The Extraordinaire' - a limited edition book, that documents the journey of leaders and influencers, who have helped fuel India's popularity on the global map. However, that's not all. The gorgeous girl made our country proud yet again, as she closed the show for Ralph & Russo at the Paris Fashion Week. With this, she became the first Indian to close a show at the Paris Fashion Week. 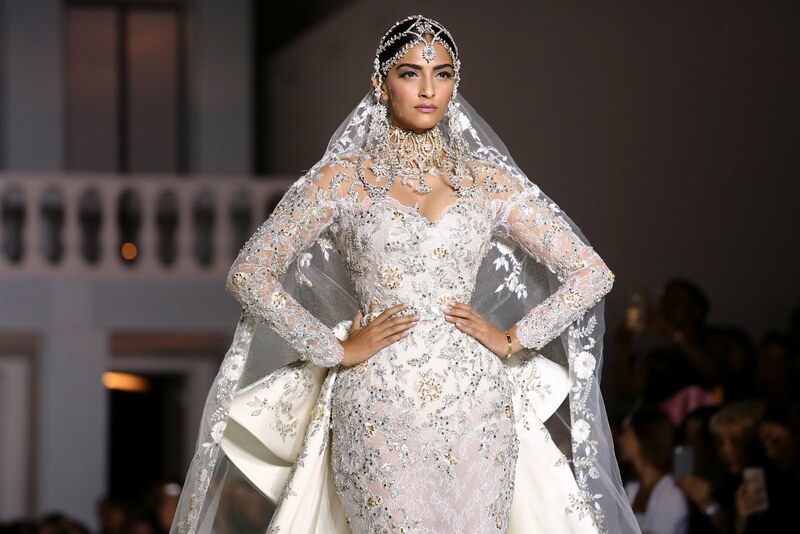 Honestly, we couldn't take our eyes off Sonam, who looked every inch a fashion goddess in a pristine white bridal gown. The Neerja star turned show stopper for the luxury brand's Autumn Winter 2017/2018 couture show. 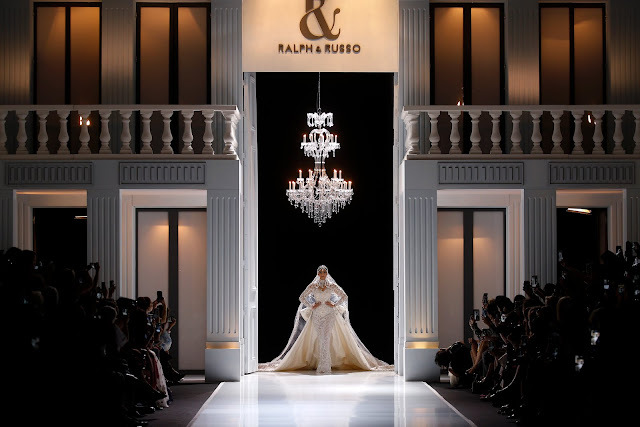 She truly gave the classic Ralph & Russo bride an Indian twist. When asked about her experience at the R&R showcase, Sonam said, "It was surreal. I enjoyed every moment of it. Michael and Tamara are dear friends and I'm so happy I could do this for them." Over the years, the actress has always left us awe-inspired with her versatile looks, fresh take on everyday fashion and impeccable sense of style. She has always dared to be different. No doubt, Kapoor is easily one of India's biggest and most celebrated fashion icons today. 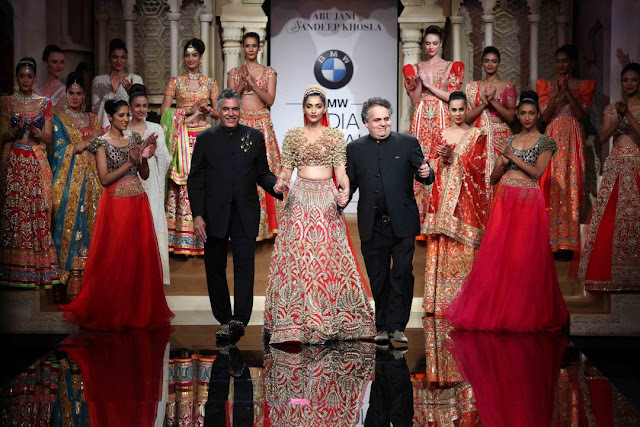 The much awaited Lakmé Fashion Week has finally announced the date for it's next season. And guess what? They've got a brand new venue for the Summer/Resort 2017 edition. Mark your calendars, folks! Interestingly, LFW is all set to take place in the month of February (a month before their usual dates) and will be held from Feb 1 to 5, 2017. The venue is none other than - JioGarden (Bandra-Kurla Complex) in Mumbai. According to the team, the move to JioGarden offers a wider canvas for the event, and will help in presenting the fashion week in a brand new look and feel. JioGarden is one of the newer premium outdoor venues in the heart of Mumbai. The garden boasts of state-of the-art infrastructure, with the ability to manage 9000 people simultaneously, Jio 4G Wi-Fi connectivity and ample car parking space. The facility is ideal for hosting premium events such as the Lakmé Fashion Week, apart from music concerts, awards shows and large scaled corporate events. With some exciting innovations and collaborations being planned for this upcoming season, we are quite it's going be an even bigger, better and more sensational Summer/Resort 2017. Stay tuned for more details! The über stylish Katrina Kaif was present at a panel discussion earlier today, where along with celebrity shoemaker Christian Louboutin, designer Prabal Gurung and film maker Karan Johar, the actress discussed the importance of fashion in films. During the conversation, Katrina spoke about her involvement in choosing the right outfits for her characters in films and how the process has changed over the years. 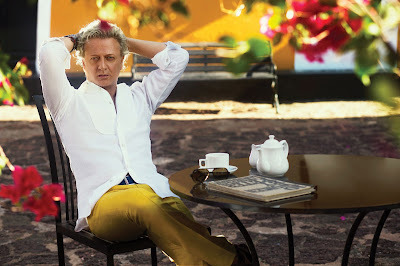 "I have been a part of several commercially entertaining films, where I had to personally shop for my character. The director was never interested in what I was wearing," stated Kaif. Further, she confirmed that now, she is happy to work with good directors, who pay equal attention to costumes and outfits for every character, like any other important aspect of the film. "I have always been actively involved in the process," she adds. So much, that for her upcoming film - Jagga Jasoos, the actress will be seen wearing outfits created by a brand, that is known for recycling clothes. Katrina says, "The outfits I will be seen wearing in Jagga Jasoos are simple and fun." Well, how about a teaser from the much awaited film already, eh? Jagga Jasoos is slated to release on April 7, 2017. It's that time of the year again, when we get ready to cheer for our nation and pray for their big win. While the team is currently preparing for the Asia Cup final, they will soon get set for the biggie - ICC T20 World Cup. Once again, as the Indian men and women's National Cricket Teams step onto the field at the T20 games in India, they will be seen wearing the all new Nike T20 kits. Showcasing the country’s signature blue, the design features a jersey with a new collar that has clear Asian influences. Four-way stretch pants feature articulated patterning on the knee section to withstand aggressive play. Bold, with a contemporary striped motif, the kits express the excitement and responsibility the players feel when representing their country. "At every stage, the meaning of wearing India jersey changes," explains Mithali Raj, captain of the Women’s Indian National Cricket Team. “When you are the senior player, you have everyone on your shoulders and you can’t let them down. When you are a debutant, you are playing for yourself and all those people who have made you a player. It is different, but when I don the signature blue kit, I carry it proudly, believing I will win." Ajinkya Rahane, batsman of the Men’s India National Cricket Team shares a similar sentiment: "Wearing the kit, going out there and playing for my country – it’s an overwhelming feeling, which is almost impossible to express in words. But whenever I wear the kit, I believe I’m a hero,” he declares. Nike is the official apparel sponsor of the Board of Control for Cricket in India (BCCI). 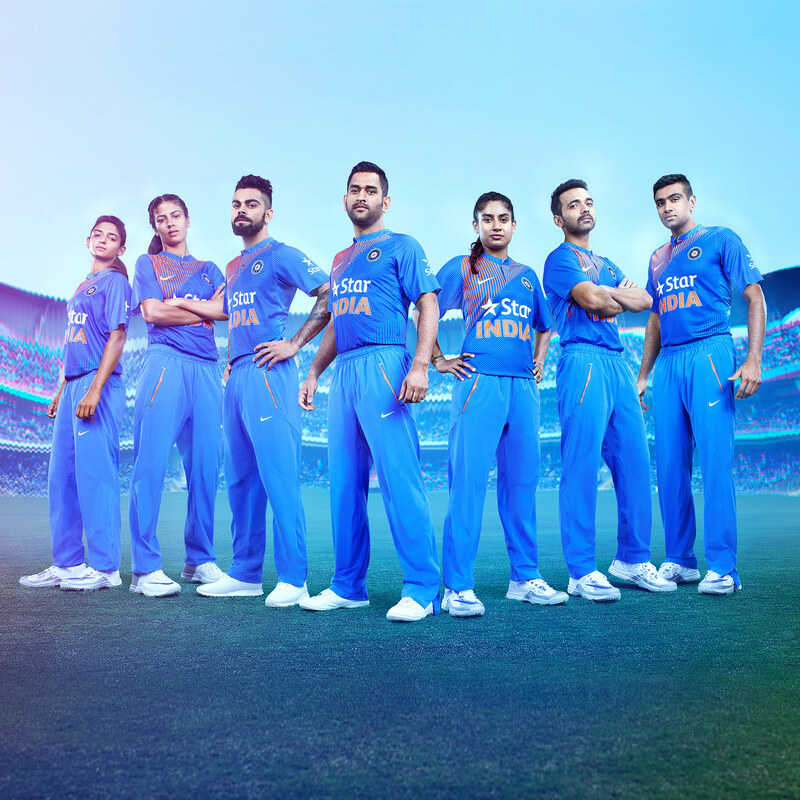 Starting March 6, 2016, Team India kits will be available at Nike India retail and also online here. For the Summer /Resort 2016 edition of Lakmé Fashion Week, the brand has brought ace designer Rohit Bal on board as the Grand Finale designer. The event will be held from March 30th to April 3rd at the St. Regis, Mumbai. After presenting a stunning finale show in 2012, Rohit is back for his second innings as Grand Finale designer at LFW Summer/Resort 2016. Rohit will work closely with Lakmé make-up experts to create stellar looks for the runway that will set the beauty and fashion trends for the upcoming season. Kareena Kapoor Khan to be the LFW W/F 15 Grand Finale showstopper! Lakmé has confirmed that actress Kareena Kapoor Khan will once again be the Grand Finale showstopper for Lakmé Fashion Week Winter/Festive 2015. A favorite on the runway, Kareena is all set to be muse to designer Gaurav Gupta’s vision for the Lakmé Sculpt line this season. The Lakmé Grand Finale is the most awaited show each season and the upcoming one by Gaurav Gupta will explore the realm of fantasy fashion as he brings the Lakmé beauty statement - Sculpt to the fore. 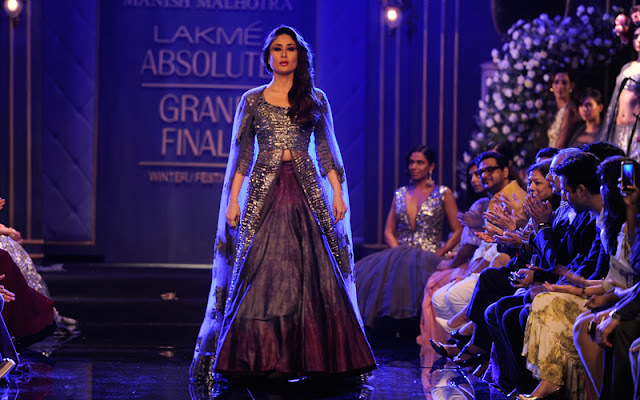 Purnima Lamba, Head of Innovation, Lakmé said, “Kareena’s style embodies Lakmé Absolute and we’re excited that she’s the showstopper for the Lakme grand finale once again. Like in every season, Kareena’s look has been crafted by our backstage stylists along with Gaurav Gupta and we look forward to presenting her in the season’s must-have sculpt look.” Talking about his muse for the season, Gaurav Gupta said, “This is my first as a grand finale designer at Lakme Fashion Week and I couldn't have asked for a better muse than Kareena for showcasing the Lakmé beauty statement. I am looking forward to work on the showstopper ensemble, which will be a playful juxtaposition of drapes with structure.” Well, we can't wait to witness the magic live. 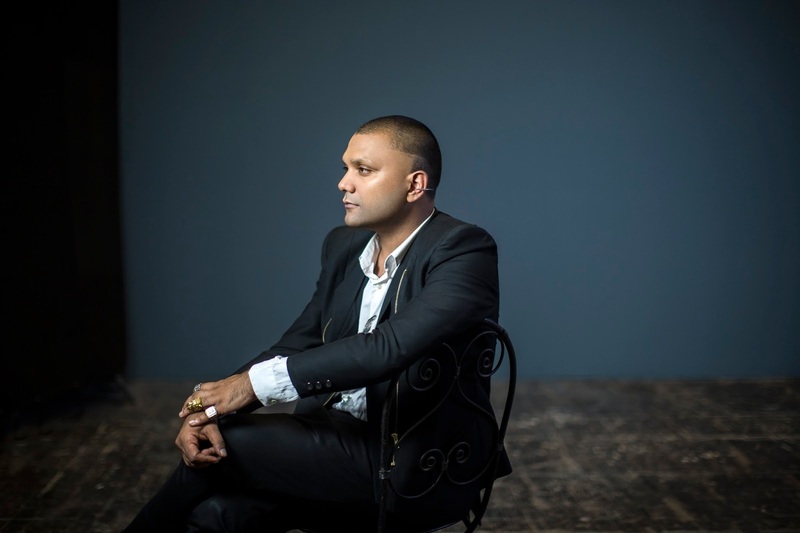 Lakmé, India is all geared up to explore the realm of fashion fantasy with designer Gaurav Gupta as the Grand Finale Designer at Lakmé Fashion Week Winter/Festive 2015. The W/F edition will be held from August 26th to 30th at Palladium, Mumbai. Renowned for his edgy designs and futuristic concepts, Gupta will be lending his avant garde vision to the finale collection in his signature style. Gaurav pinned modern Indian couture on the global map by reinventing the traditional sari with gothic art and three-dimensional metal and leather embroideries. With Gaurav infusing his incredible energy into design, this season’s Grand Finale at Lakmé Fashion Week promises to be an exciting affair with imaginative sculpting as the dominant theme. "It is an honour to be chosen as the Grand Finale designer for India’s premier fashion event. I am excited to be celebrating my 10 years' journey in fashion by presenting the new collection as part of Lakmé Fashion Week’s 15 year milestone. The new collection, is going to be a progressive dialogue between Lakmé’s Sculpt beauty statement and my drapes. While fantasy will remain at the heart of my collection, you will definitely see a playful juxtaposition of structure with fluidity and red carpet glamour” said Gaurav Gupta, Grand Finale Designer, Lakmé Fashion Week Winter/Festive 2015. With their world class runway showcase and backstage beauty trends, Lakmé brings the best of fashion and beauty to the forefront. This August, Lakmé along with Gaurav Gupta, will once again reinvent the finale stage at the most anticipated show at Lakmé Fashion Week Winter/Festive 2015. Television Czarina Ekta Kapoor has now ventured into the fashion industry with her signature label EK, comprising of Indian ethnic wear and exquisite jewelry. She made a formal announcement about the launch at a press conference in Mumbai last weekend. The label includes women's apparel and accessories. The event saw lead actors from her popular television shows, including Sakshi Tanwar, Anita Hanandani, Divyanka Tripathi among others, sashaying down the runway in signature pieces from the collection. Kapoor's signature line will be available on Best Deal TV, India’s first celebrity-driven 24/7 Home Shopping Channel, that will be aired nationwide from March 18. Commenting on the occasion, Ekta Kapoor said, "I have always looked at venturing into new territories and with my fashion label, I hope to reach out to many more women across the country. 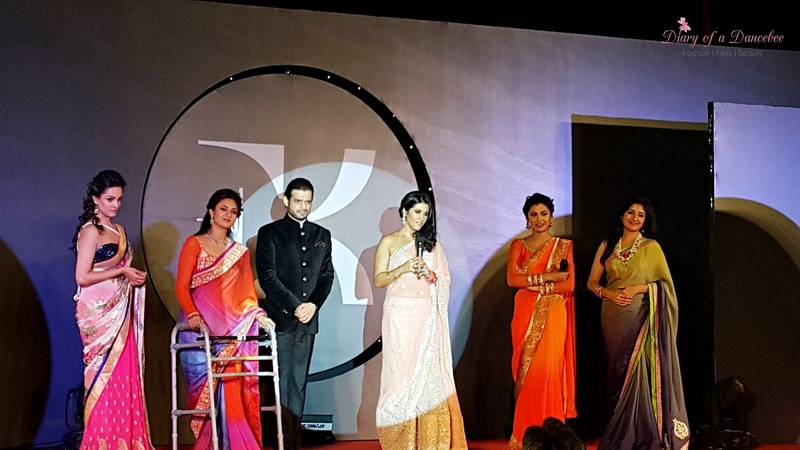 EK is an endeavor to make fashion accessible and affordable." Raj Kundra, CEO, Best Deal TV, adds, "Ekta Kapoor has been a pioneer, not just in television and films, but also in fashion trends that have shot to fame with her successful television shows over the decade. The label, EK, is exclusive, inspirational and affordable and we are happy to introduce her label on Best Deal TV." For those of you who follow us on Twitter and Instagram, you must have noticed some fun pictures and updates from the #LiveInLevis 501 CT launch event in Mumbai. The event was nothing less than a lesson in the world of Levi's, as it gave us a glimpse into the ever evolving history of the brand. Taking us through this delightful session was the stylish and amazingly talented Yosuke Otsubo - Head of Sales and Marketing (Asia, Middle East and Africa), who looked every inch a Levi's lover in his customized pair of jeans; and Sanjay Purohit - Managing Director for South Asia (India, Sri Lanka, Nepal and Bangladesh) Levi's Strauss & Co, who walked in wearing his customized and tapered 501 CT. The Levi’s 501, the world’s first-ever blue jean featuring a timeless straight leg, relaxed fit and signature button fly, has earned a named for being the most coveted jean in the world. While understanding its evolution over the years, I realized that each pair of jean had a story behind it. Patched, repaired, shredded or tapered, the Levi’s 501 Jean reflects how people live their lives. Now for Spring 2015, Levi's is proud to introduce the new 501 CT (Customized & Tapered) which features an extensive range of sizes, colors and finishes. The folks at Levi's noticed how the 501 jean wearers have been customizing their jeans for decades, most commonly tailoring the legs for a closer fit. Hence, they thought of doing this work for them. Hence, they took the Original 501 and added a custom taper, crafting the perfect fit for a modern take on the classic 501 jean. The new 501 CT has a little more room at the waist, so it sits slightly lower for a more relaxed fit, and has been tapered around the leg from the knee to the ankle. In line with their Spring 2015 Collection’s homage to San Francisco, the season’s 501 CT Jean is available in a range of authentic denim washes, inspired by San Francisco and California - the home of Levi’s and the Original 501. With names like Precita (inspired by a vintage garment, we’ve done a blend of stone and enzyme washing, with added tinting and grinding), Old Favorite (the ultimate worn-in look, with bleach sprays and knee rips), Cali Cool (a medium authentic wash with some hand-sanding and enzyme washing) and Rolling Fog (stone washed and bleached, inspired by the city’s storied fog and plays of light) it would not be wrong to say that this line wonderfully celebrates the past, present and future of Levi’s with great style. Depending on the size you choose and your desired look, the 501® CT can be worn slim, regular or more relaxed in the thigh. And, I have got a pair of these amazingly comfortable and stylish 501 CT jean as well. Can't wait to style it in one of my upcoming outfit shoots for you guys. Till then, why don't you head to the Levi's store and get your hands on this beauty as well? Team India and Nike today unveiled a fantastic new One Day International kit that the Indian Cricket team will sport during the Tri-Series in Australia. 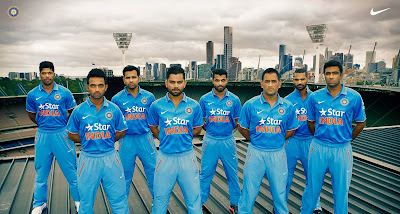 The first match that the Indian team shall play on January 18th will be against Australia. The all-new lightweight team kit combines high performance innovation with sustainability. Nike, the official apparel sponsor of the Board of Control for Cricket in India (BCCI) crafted the latest Team India uniform in a bold new design with some of Nike’s latest global apparel innovations to help the team perform at their best. Following extensive research and athlete driven insights, Nike designers created a new dynamic fit using a unique four way stretch fabric ideal fit for playing cricket, that not just enhances comfort for the players, but also allows the body to move naturally. The Nike Dri-FIT technology and Nike Pro Baselayer helps regulate the player’s body temperature through increased venting and breath-ability for players to stay focused on their game. “The new Team India uniform is light, comfortable and packed with innovation to help minimize distractions on the field of play and that’s critical when millimeters make a difference between a game winning innings or wicket,” stated Mahendra Singh Dhoni, Captain - Team India. 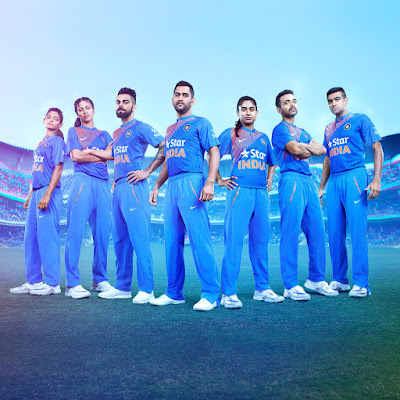 “2015 is a massive year for Team India as the best teams in the world compete for cricket’s greatest prize. The Team India jersey truly symbolizes the passion for cricket in our nation; wearing this jersey is a matter of pride for every player,” he adds. Nike also unveiled its new cricket footwear - Nike LunarDominate (Batting) and Nike LunarAccelerate (Bowling) offering a new level of innovation and support for cricketers. Comprising of Nike’s renowned Lunarlon Technology, the footwear also provides lock-down and adaptive fit as a result of innovative dynamic Flywire wraps. The footwear addresses specific demands and necessities of today’s batsmen and bowlers, which helps them to stay focused. What's interesting is that Actress Deepika Padukone, whose love for all things sport is known to one and all, was snapped showing her support for the new Nike Team India jersey. In a candid pictorial captured by renowned photographer Bharat Sikka, Padukone is seen showing off her support for cricket and Team India while wearing the new Team India jersey. “As a cricket fan and active athlete, I felt a great sense of pride when I first put on the national team jersey. Cricket is the biggest sport in India and the passion for the game is incredible across the country. Like every cricket fan, I look forward to great success for Team India in 2015,” said Padukone. One of Hindi film industry's favorite haunts, the good ol' Mehboob studio, witnessed a extravagant launch event last week. 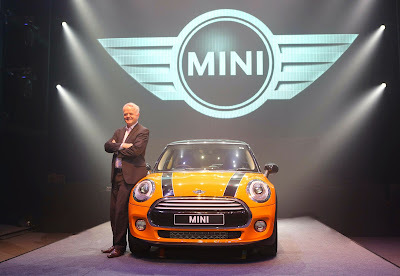 With a magnificent set up, lovely music and vintage cars available for photo-ops, the launch of Mini Cooper's 3-door and 5-door cars was one grand affair. With the launch event, these two lovely car models were also launched across the nation. While performers from the Shiamak Davar Dance Company put up a fabulous act, bands Whirling Kalapas and the lovely Monica Dogra from Shaa'ir and Func kept everyone entertained at the do with their magical performances. We have got more news coming in from the folks at Nike. This time, tradition and technology unite in the Holiday 2014 Nike Tech Pack collection, which features the Nike Tech Fleece Aeroloft. For several decades, fleece and feathers have been the key materials for outdoor performance. As most of us know, the Fleece fabric has been at the core of athletic wear since Nike's genesis, and goose down fill has been humanity’s choice insulator for over a century. 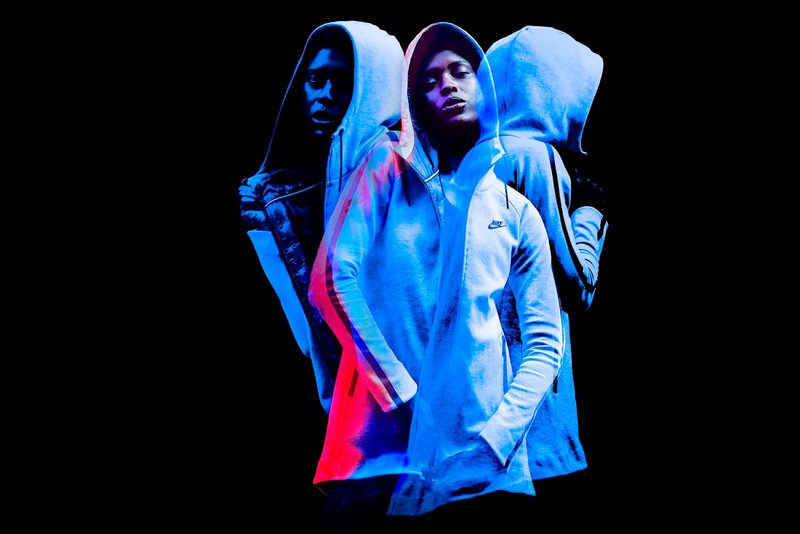 Well, the two cold-weather buffers converge in the latest Nike Tech Pack, a line that has reappraised staples and elevated them to aid the modern athlete, season after season, since 2007. The benefits of fleece and down reach their pinnacle in the Holiday Nike Tech Pack collection as Nike Tech Fleece and Nike Aeroloft technologies work together for not just comfort, but also protection. The lightweight and warm Nike Tech Fleece fabric redefines an athletic staple, while Nike Aeroloft technology bolsters warmth and adds an aspect of thermoregulation as it expels excess body heat via laser-cut zoned ventilation. 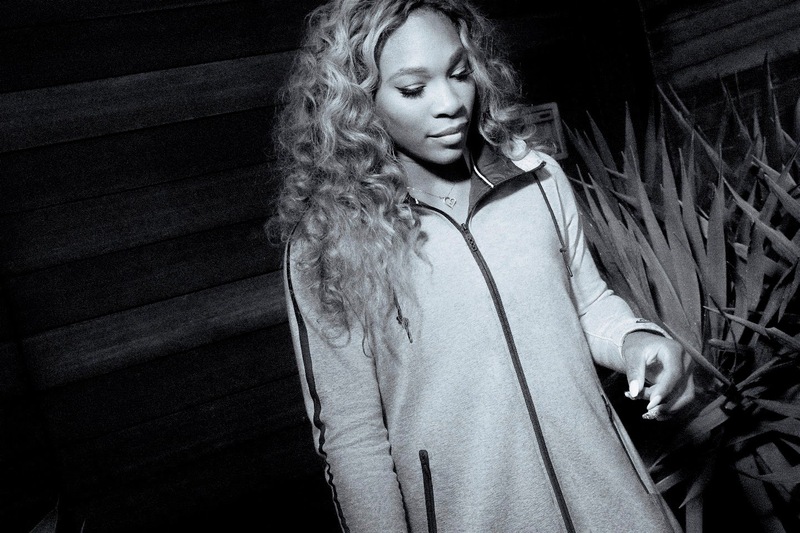 Well, some of our favorite athletes and sports personalities swear by it too. The women’s Nike Tech Fleece Aeroloft Parka range delivers warmth and ventilation in an elegant package. A formfitting upper body blends with a released hem and oversized hood for a modern silhouette, with a semi funnel neck for extra comfort and coverage. The men’s Nike Tech Fleece Aeroloft Windrunner range gives an iconic running design fully reversible two-in-one versatility, allowing the wearer to choose between concealing or revealing the 800-fill goose down Nike Aeroloft vest. Bonded zippers give the jacket a technical look and the elastic binding on the hood and cuffs helps keep the elements out, regardless of how it's worn. 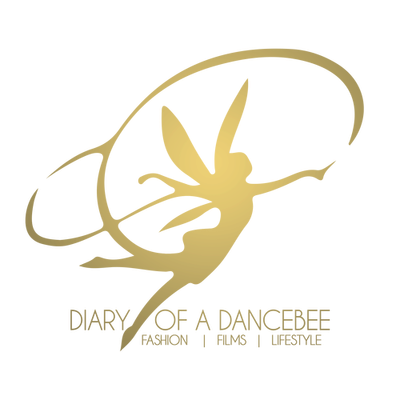 Don't forget, we have got "Fitness Month" coming up on Diary of a Dancebee! Just one day to go. Stay tuned for exclusive updates, fitness tips, exclusive fitness regimes, interviews and more. 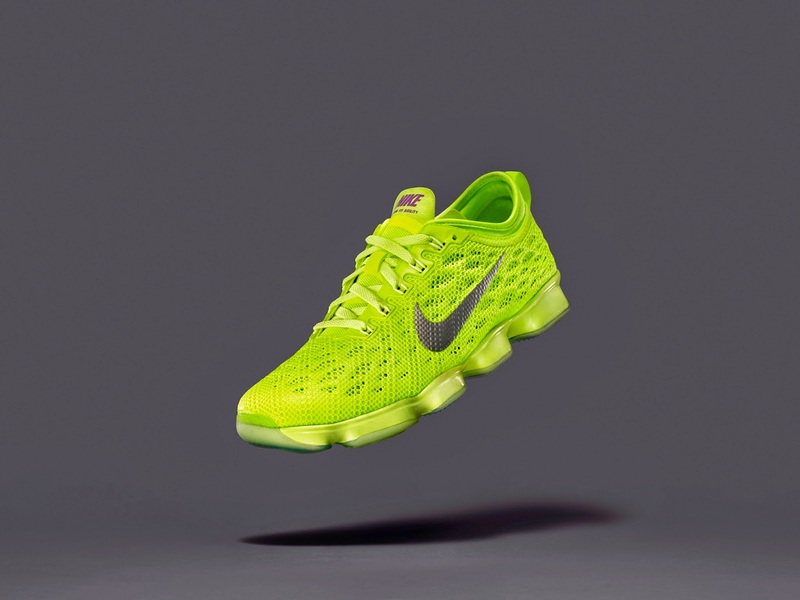 All you Nike fans in the house (and those who swear by sports shoes), this one is for you! The brand has launched their all new collection of the Nike Zoom Fit Agility range, keeping in mind the insights of an athlete, with a 'never say never' spirit. The gorgeous pair of training shoes feature the highly responsive Nike Zoom Air, which helps in adding an extra spring in the female athlete’s step. Armed with this responsiveness, the athlete need not worry about the workout’s final stage. 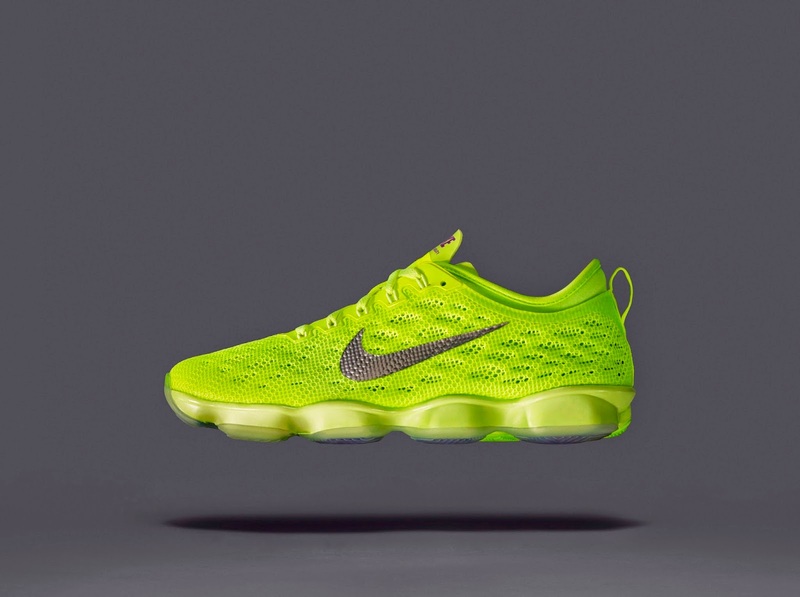 In Nike Zoom Air, tightly stretched tensile fibers are woven inside a pressurized Nike Air unit. Upon impact, these fibers release their tension and then snap back to their original state. This generates ideal responsiveness for athletes looking to quickly navigate each step of their workouts. However, let us inform you that the traditional Nike Zoom applications most often don't provide the flexibility that female athletes demand in the gym. To solve this dilemma, the designers at Nike broke the Nike Zoom Air in the Nike Zoom Fit Agility into independent air bags, allowing the shoe to flex in multiple directions. Each bag is placed in hexagonal rubber pods and strategically positioned where the female athlete needs cushioning most. One look at the stunning pair and you can notice that the shoe’s upper part is a blend of lightweight mesh and foam. The mesh allows some air, while the foam lends support, flexibility and comfort. Nike dynamic Flywire loosens and tightens with the movement of the foot for an adaptive fit. In addition, the heel construction features added padding near the collar that works to deliver increased comfort and restrict movement for a more secure fit. Moreover, these beauties are available in a variety of colors, making it ideal for a sportswear meets casual or luxury look. 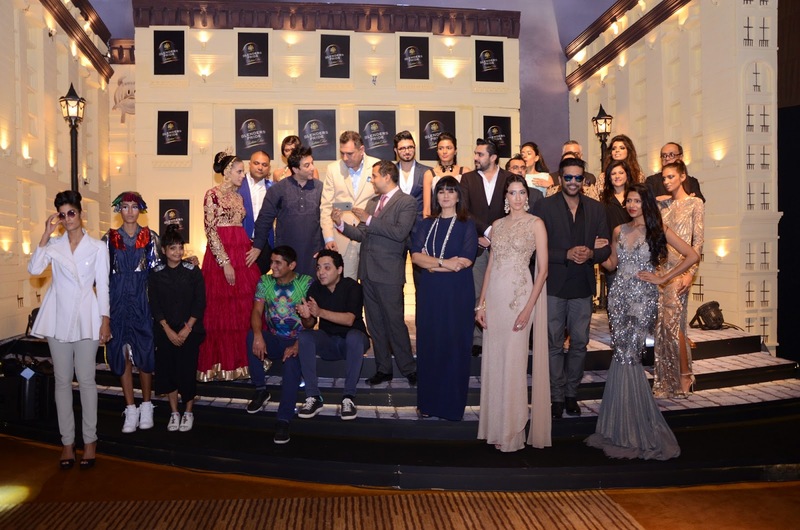 Blenders Pride Fashion Tour is back! After celebrating fashion in the most unique way possible, Blenders Pride Fashion Tour is back and this time, the organizers have promised to take things a notch higher. This year, the tour will not just be a fashion extravaganza, but will celebrate the mélange of Music, Design and Technology. This and more details about the 10th edition of BPFT was revealed at a special preview held at Grand Hyatt in Mumbai. at a spectacular evening at the Grand Hyatt, at a grand set up, which resembled an old world theater and had a vintage charm of its own. The who's who of the fashion, music, literature and film industry were part of the preview. The event kick started with a sneak peek into the collections, which will be presented by designers like Abraham & Thakore, Gaurav Gupta, Little Shilpa, Namrata Joshipura, Neeta Lulla, Pankaj & Nidhi, Rocky S, Shivan & Narresh, Suneet Varma and Varun Bahl, during the tour. That's not all! They will be joined by Style Blenders aka Speakers - Boman Irani, Wasim Akram and Chetan Bhagat, who will speak about their personal style and discuss the amalgamation of different art forms. Starting mid-November, Blenders Pride Fashion Tour will travel to five cities - Hyderabad, Gurgaon, Mumbai, Bengaluru and Kolkata. While the designers will mesmerize the audience with their collection, some of India's best music artists will compliment their work. Some of the performers include Ankur Tiwari, Ash & Ashvin, Boom Bay Central, Karsh Kale, MIDIval Pundits and Shaa’ir + Func, who will perform live during the event. The Mumbai leg of Blenders Pride Fashion Tour will be held on 29 and 30 October, with designers Neeta Lulla, Suneet Verma, Little Shilpa and Shivan - Narresh showcasing their collections.